Ubisoft has announced the release of the game, Rayman Origins, in the UK on the Xbox 360, PlayStation 3 and Wii. Rayman Origins features incredible graphics matching the level of detail and quality of the biggest animated movies, gameplay both accessible and challenging and an original soundtrack. It's an interactive game, created by Michel Ancel, with all characters and environments designed by professional artists. The game features a detailed and vibrant universe, six different worlds and more than 60 levels, where each element is meant to feel organic. 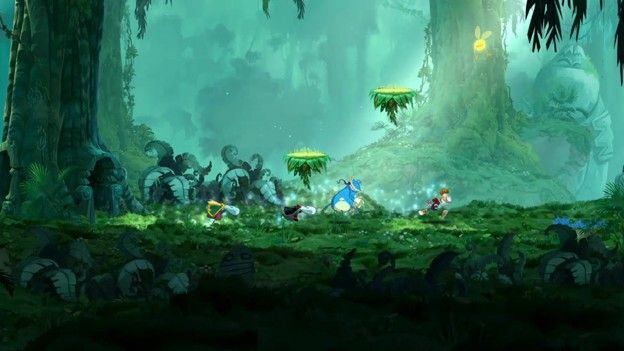 The game is a single-player, as well as playable with up to four players, where gamers can play Rayman, Globox or one of two Teensies. Gamers are also challenged to find all secret areas and access the bonus "Land of the Dead" world. A free demo of the game is also available for download on the Xbox Live Arcade and the PlayStation Network. What games have you been playing lately? Let us know via the comments box or through Twitter and Facebook.